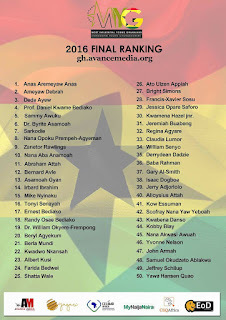 Home News Investigative Journalist, Anas Aremeyaw Anas voted 2016 Most Influential Young Ghanaian while Yvonne Nelson and Sarkodie makes list of 50 Most Influential. Investigative Journalist, Anas Aremeyaw Anas voted 2016 Most Influential Young Ghanaian while Yvonne Nelson and Sarkodie makes list of 50 Most Influential. Hon Zenator Rawlings, newly sworn in Member of Parliament for Klottey Korle, also got voted as the most influential young female in the list. 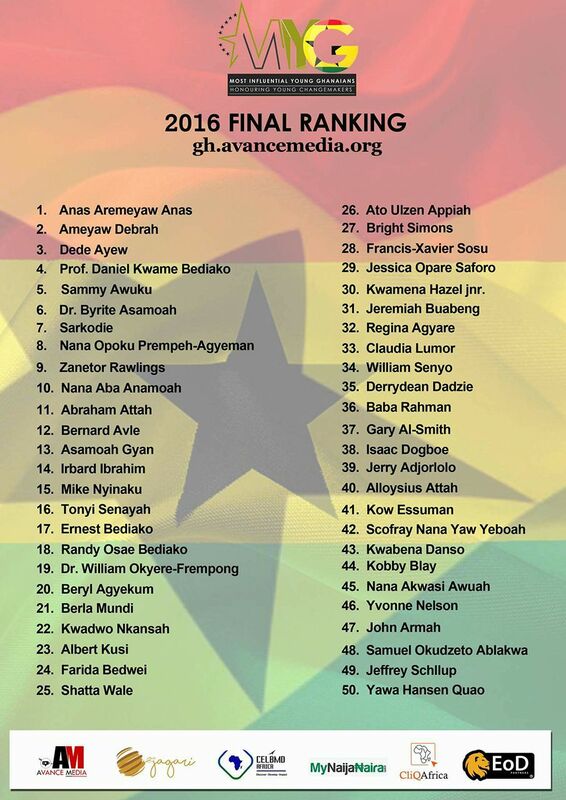 Below is the Official 2016 Ranking of 50 Most Influential Young Ghanaians.